Register with the system as PAMM partner. To choose a PAMM trader account you want to attract investors to, log in to your Client Cabinet, visit the PAMM system section, pick a trader from the monitoring list and click on the "Become an agent" button on his/her page. This procedure must be carried out for each particular PAMM account you have chosen. 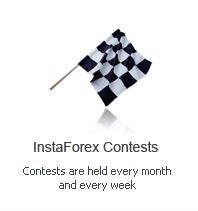 Right after the registration procedure, you shall be sent a referral link and widgets for each of your PAMM traders. You can employ them for attraction of investors to PAMM accounts. An investor follows your referral link and decides to make an investment in the account of your PAMM trader. If this investment brings a return, you can take up to 80% of the profit a trader made!